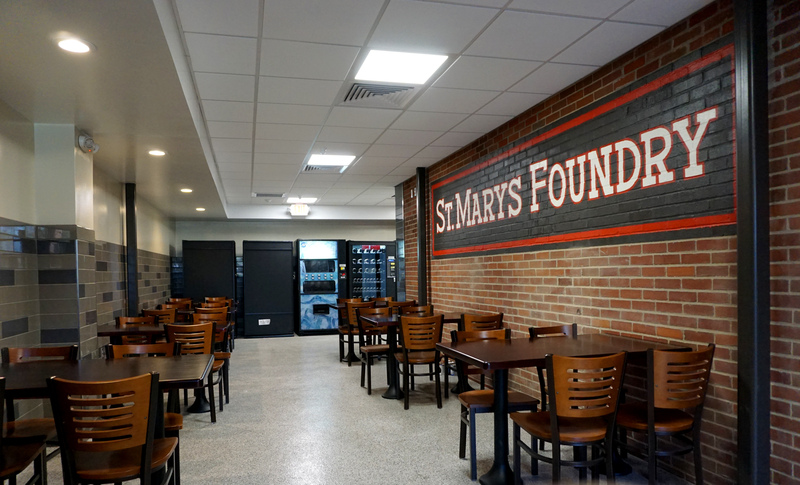 In 2014 Garmann/Miller began planning for a series of projects at St. Marys Foundry. The first was a complete overhaul of the existing men’s locker room and employee breakroom. These areas were combined to became the new 1,500 sf men’s locker room with individual showers, code compliant restroom facilities, 360° wash fountain, personal lockers and uniform lockers. 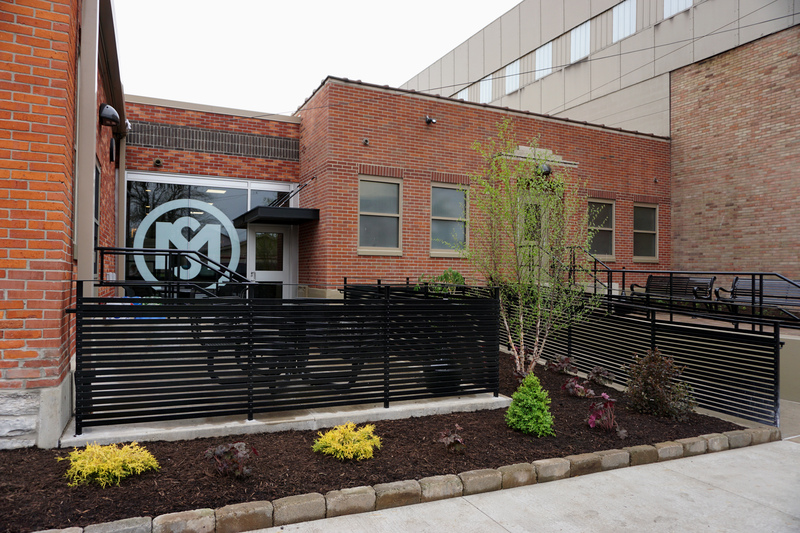 An infill addition of the alley between the locker room and office building became the new 920 sf café-style break room with outdoor seating area and large window showcasing the Foundry’s logo. Currently under construction is a 24,300 sf addition to the Foundry’s production area. The work has been divided into three phases to allow production to continue during the demolition and construction required for this project. Also in the works at this time are a future loading dock and interior renovation of the office area.